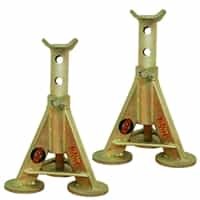 Any heavy duty or off-road equipment mechanic needs to have some high quality jack stands on hand. These are also great for portable roadside assistance companies. They make any job involving extremely heavy vehicles much easier to manager. They are also helpful for the at home mechanic who wants to make routine jobs easier. 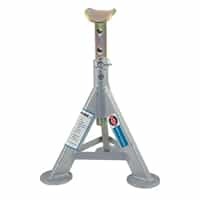 We offer a variety of jack stands from well-known brands like Dannmar, OTC, Omega, Sunex, Norco, Ranger and more. When you buy an item from one of these brands, you know you are getting a reliable and high quality product. 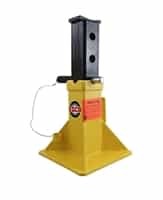 We offer options for a variety of vehicle weights. We offer many options that are great for at home and personal use, as well as use with lighter vehicles, such as the Omega 3 ton option. We also offer options for heavy projects, such as the unbelievably strong 22 ton option by Norco. 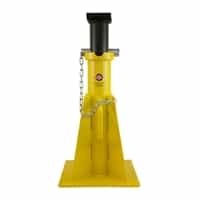 No matter what weight specification you are looking for, we have a great set of jack stands to meet your needs. All of our products have detailed specifications to help you decide which item will be most helpful for you. 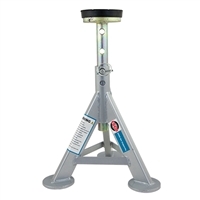 However, if you are having trouble figuring out which set of jack stands is right for your needs, let us know. Come into one of our stores, or give us a call. One of our employees would be happy to help you. Providing excellent customer service is a top priority at Best Buy Automotive. We make sure that all of our customers find the right project for their needs. We also strive to only offer the highest quality projects at the most affordable prices. If you are worried about paying for an item that you need, you will be happy to know that we offer 6 month 0% interest financing. There is a reason that Best Buy Automotive has been around since 1987. We consistently keep our customers satisfied by offering helpful assistance and providing high quality products at affordable prices.